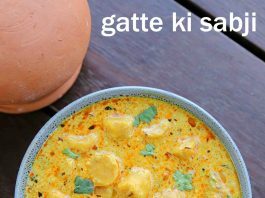 gatte ki sabji recipe | gatte ki sabzi recipe | besan ke gatte recipe with detailed photo and video recipe. 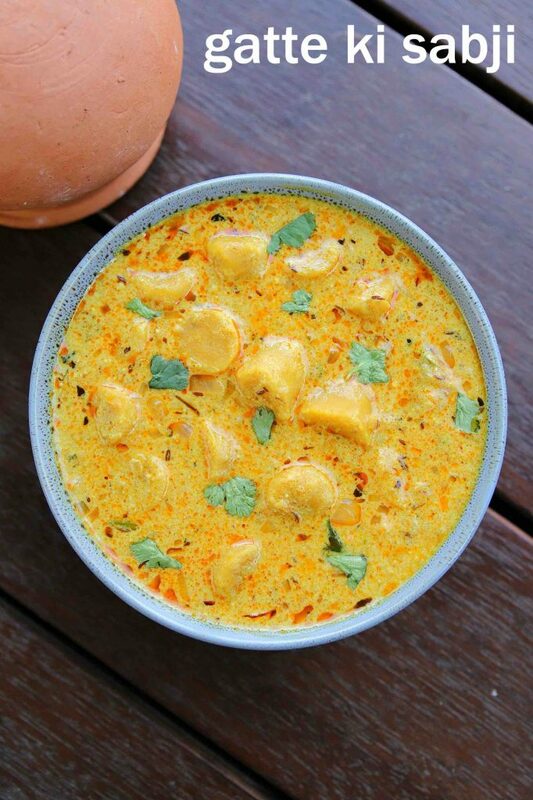 a traditional rajasthani curry recipe made with besan sausages cooked in a spicy yogurt based gravy. the recipe is generally made without a tomato and onion based gravy with curd as its base for the dish. 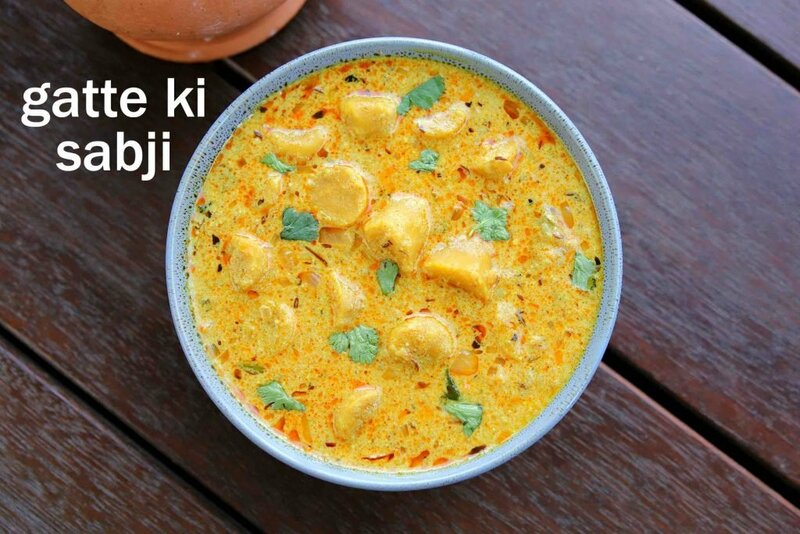 hence it is also popularly known as rajasthani gatte ki kadhi recipe. 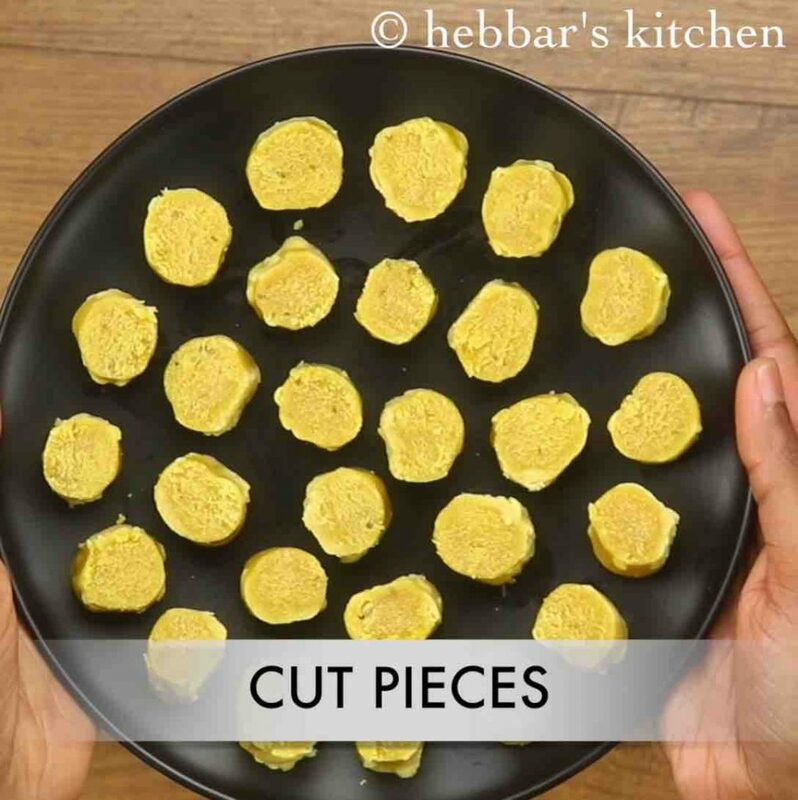 gatte ki sabji recipe | gatte ki sabzi recipe | besan ke gatte recipe with step by step photo and video recipe. rajasthani curries are known for its simplicity and are generally prepared with fewer ingredients. most of the curries deal with yogurt or curd which not only forms its base but also provides the necessary taste to it. 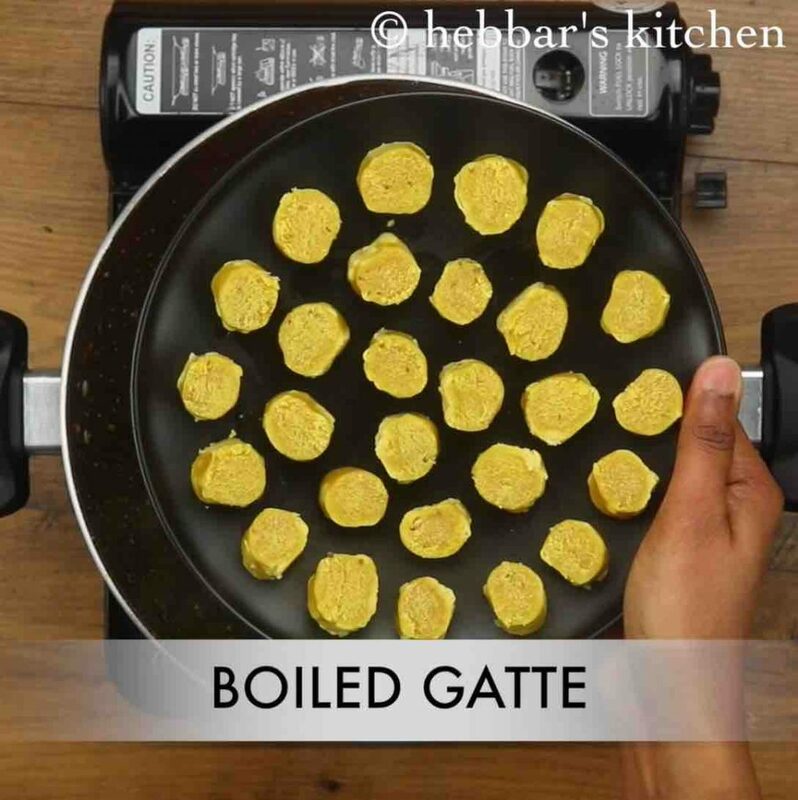 one such simple and easy recipe is gatte ki sabji recipe with besan dumplings. the demographics of rajasthan has a strong influence in its cuisine and curries. and it is clearly evident in this recipe, especially with the usage of besan dumplings, as an alternative to vegetables. 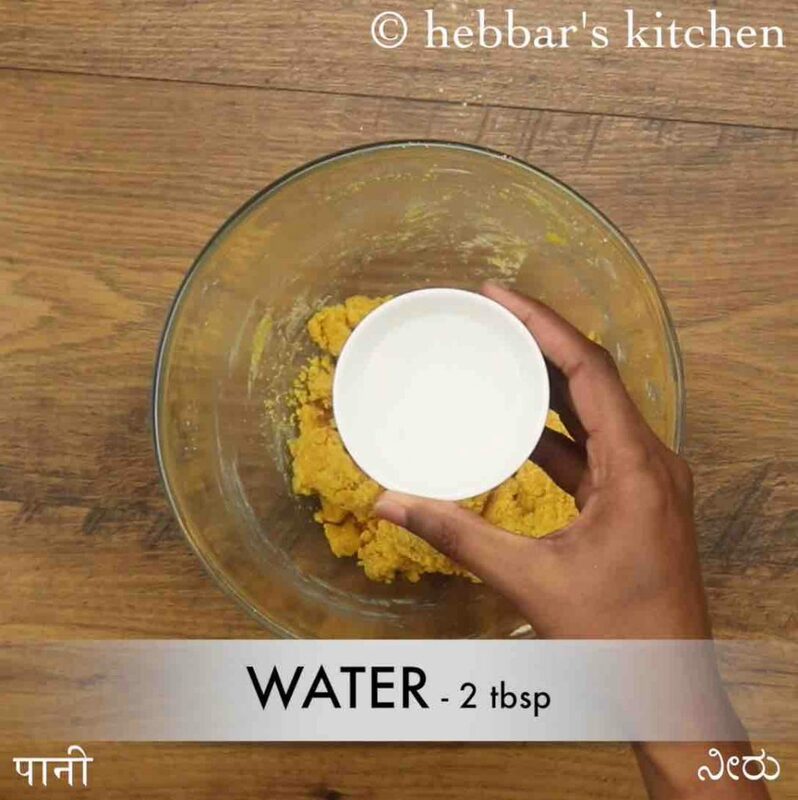 even the gravy sauce is generally made with dahi or yogurt which not only provides the sourness to the curry but also gives consistency and texture. this is mainly due to the unavailability of locally grown fresh vegetables and fruits. 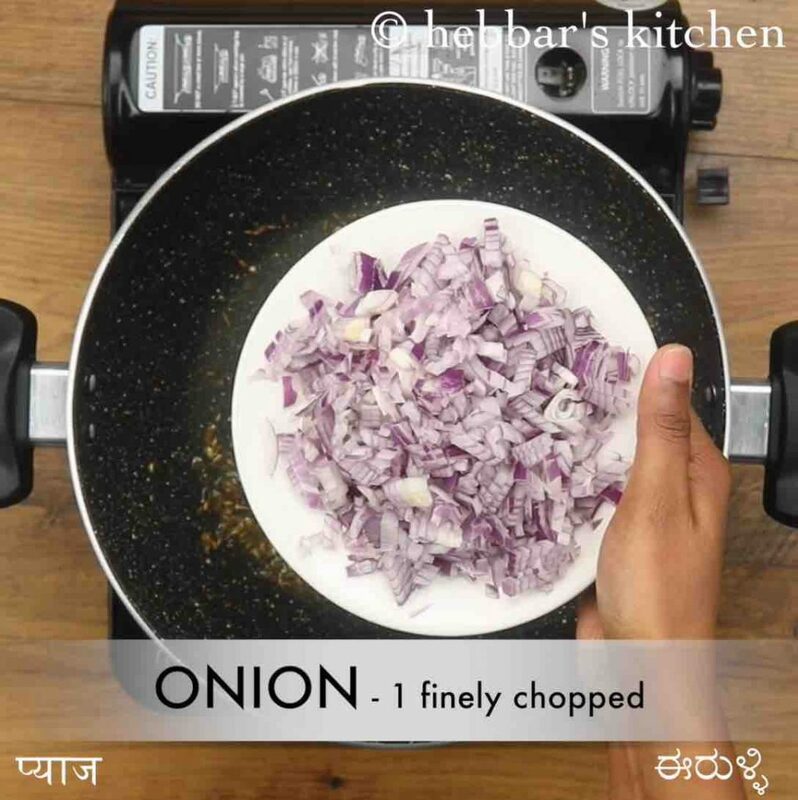 however, due to urbanization, many authentic rajasthani cuisines has embraced vegetables like onions and tomatoes and can be seen in many recipes. having said that, i have not used tomatoes in this gatte ki sabji recipe and can be used as required for the gravy base. 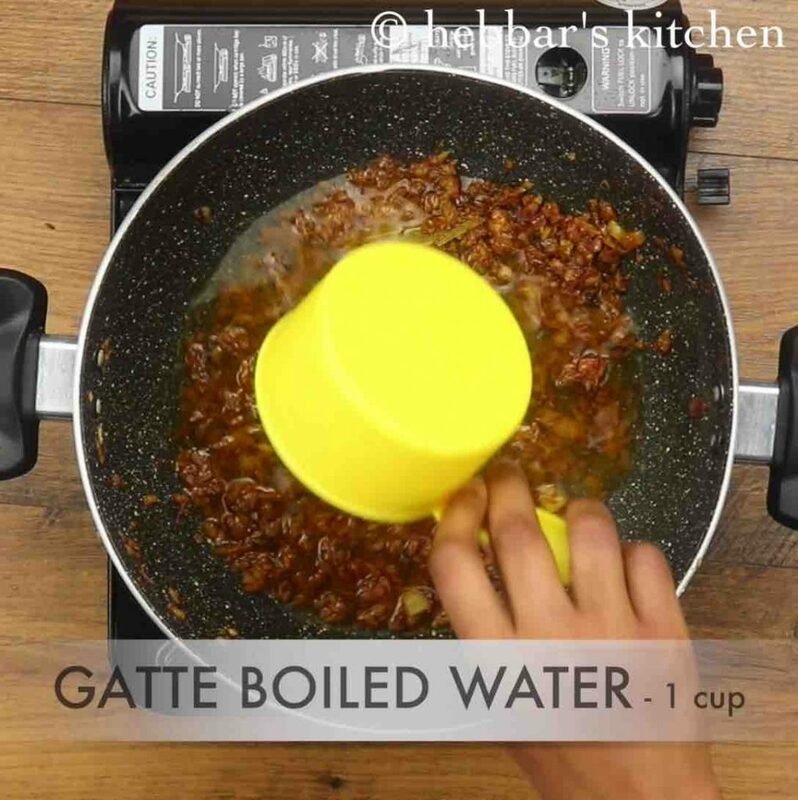 the gatte ki sabji recipe is easy and simple but can be time-consuming, hence some tips to make it easier. firstly, the besan dumplings can be cooked well ahead in advance and can be added to the gravy while preparing the curry. thus reducing the preparation time for the end to end dish. secondly, chickpeas flour or besan flour may cause indigestion to few. 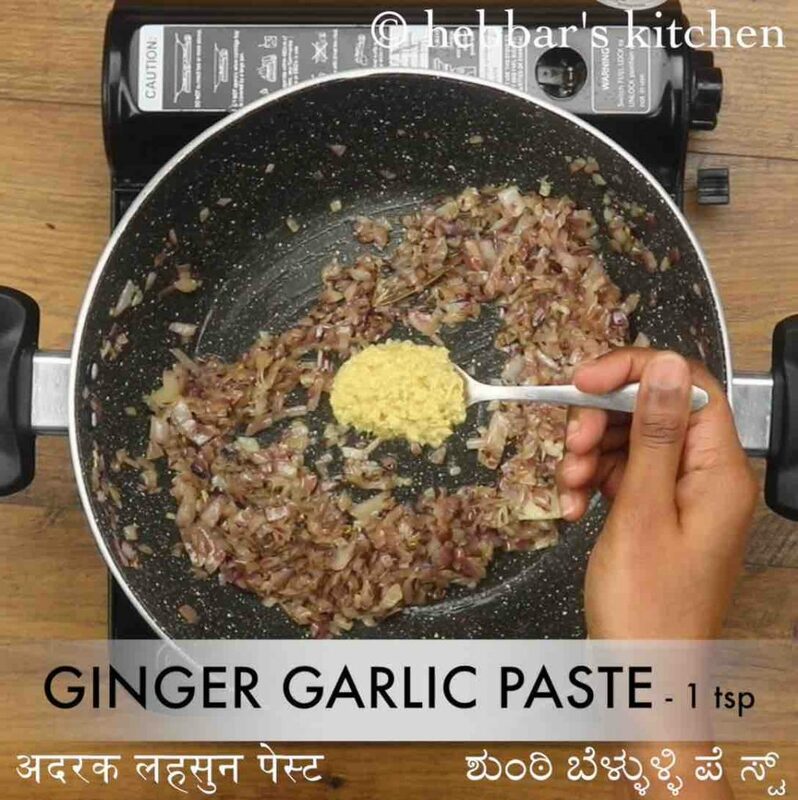 this can be avoided by adding carom seeds to the besan dough while preparing the gatte. 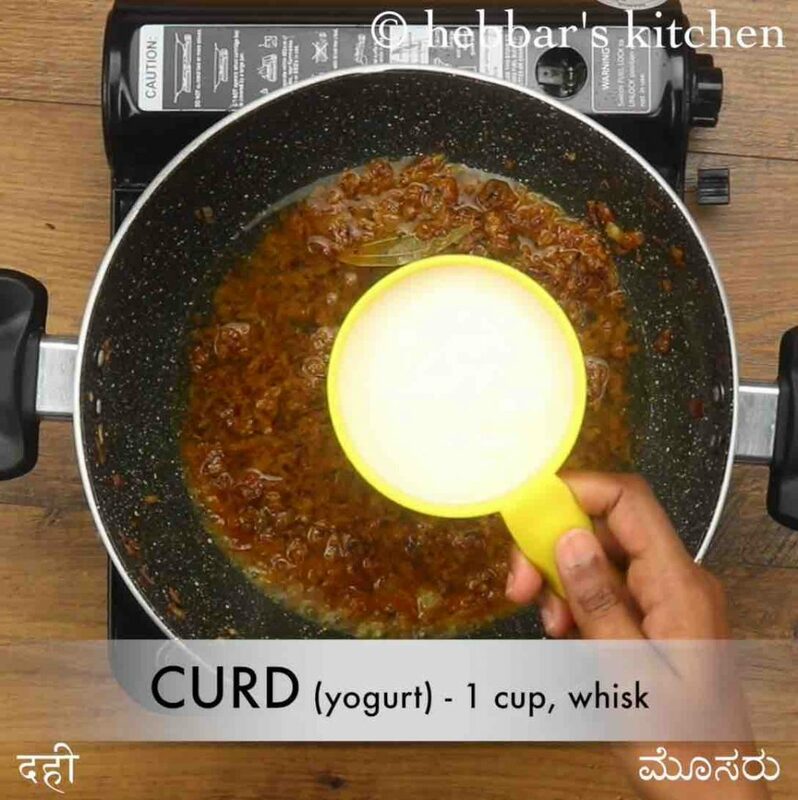 lastly, do not forget to whisk the curd before adding to the heated sauce pan. there are high chances that, the curd may curdle if not whisked properly. further, add 1 onion, 1 tsp ginger garlic paste and saute to golden brown. keeping the flame on low, add spices and saute well. 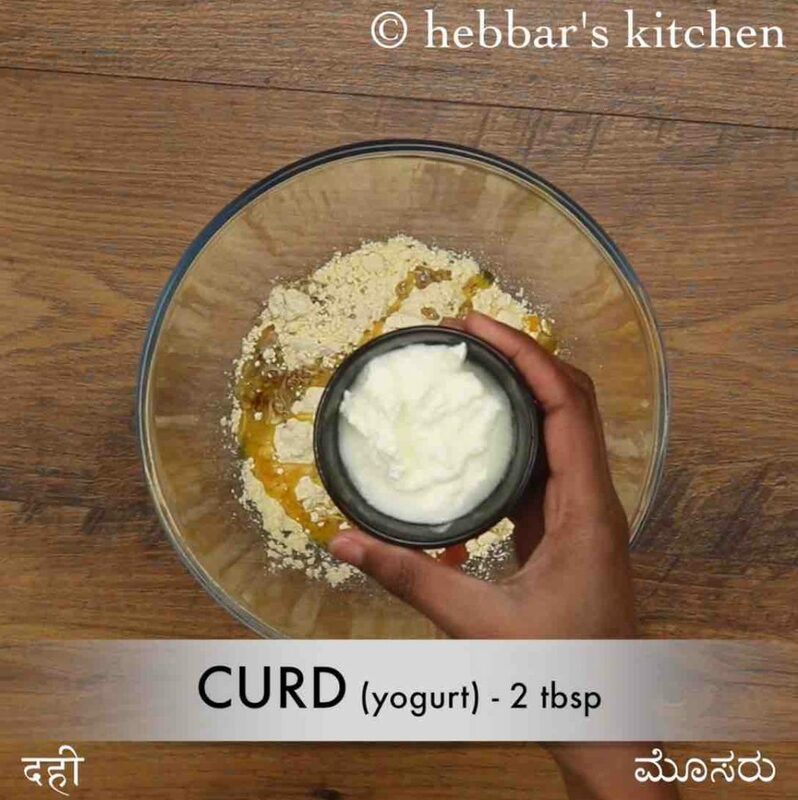 furthermore, add 1 cup water and 1 cup curd. stir continuously until the mixture comes to a boil. now add prepare gatte (gram flour dumplings) and ½ tsp salt. mix well. 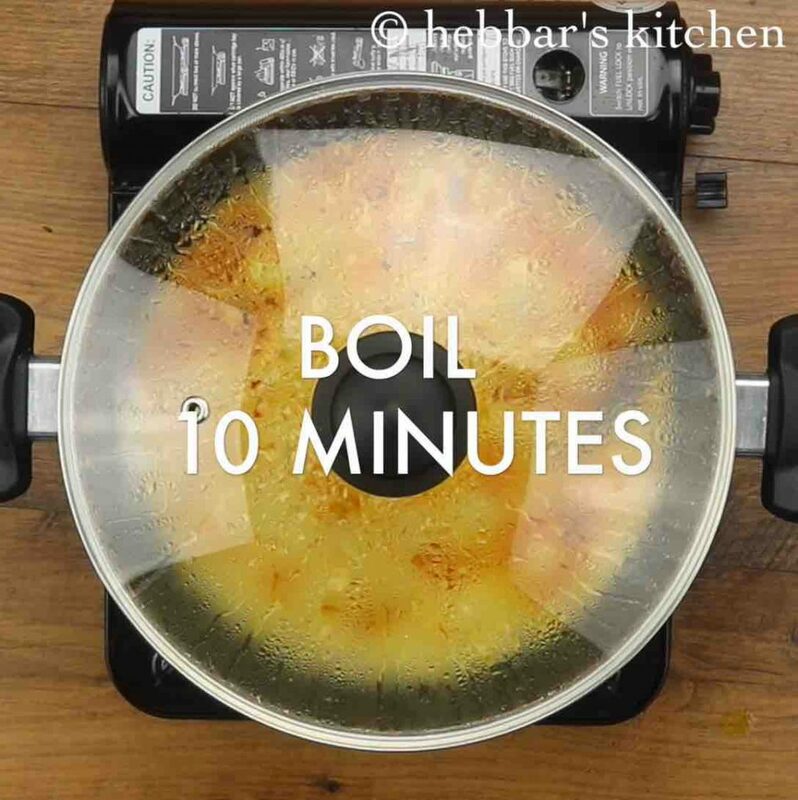 cover and boil for 5 minutes. 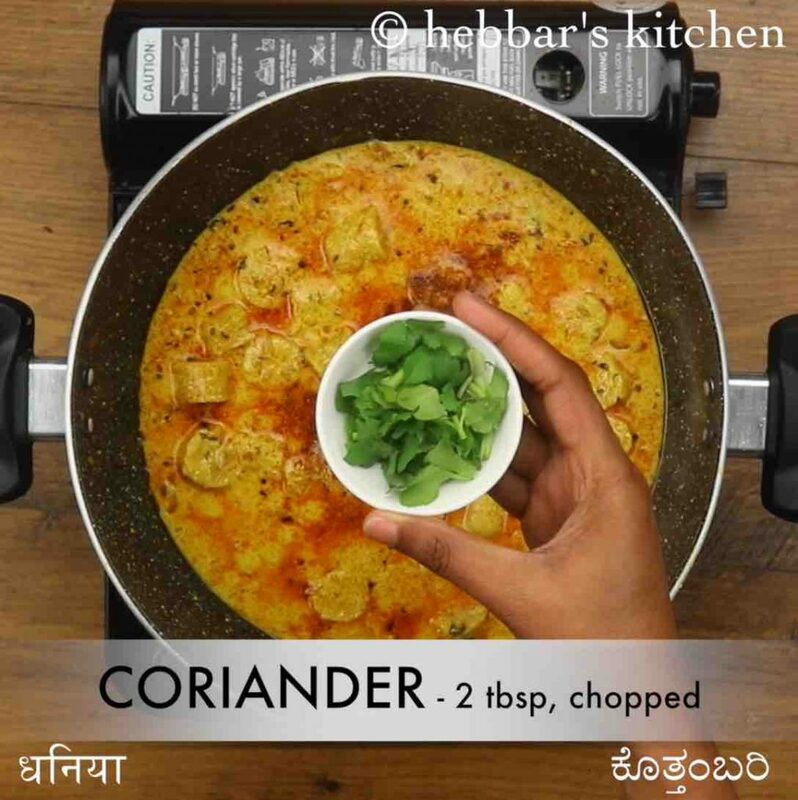 additionally, add ¼ tsp garam masala and 2 tbsp coriander. mix well. finally, serve gatte ki sabji with roti, phulka or naan. 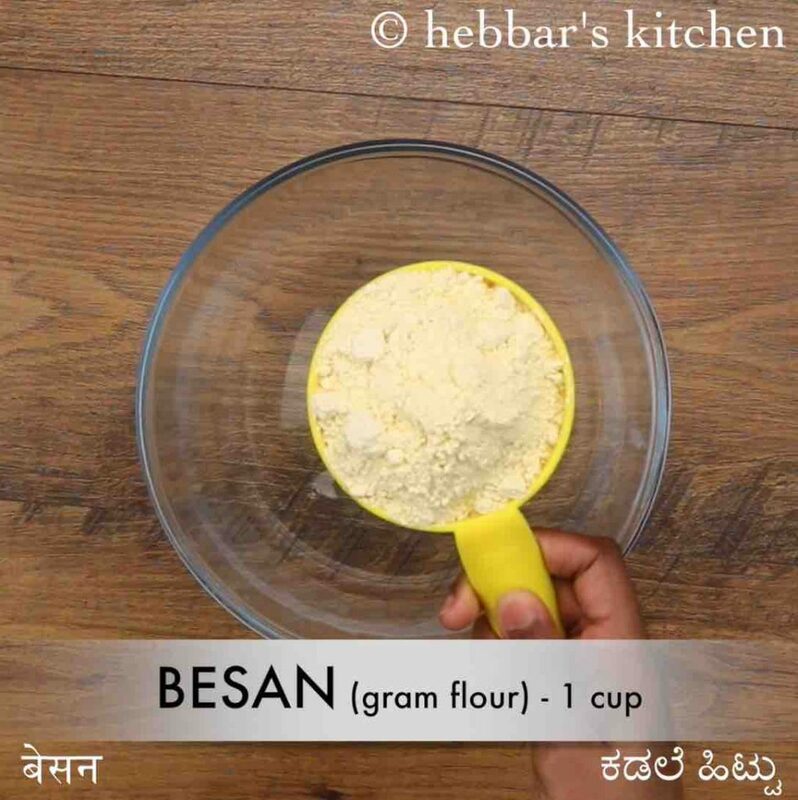 firstly, in a large bowl take 1 cup besan. 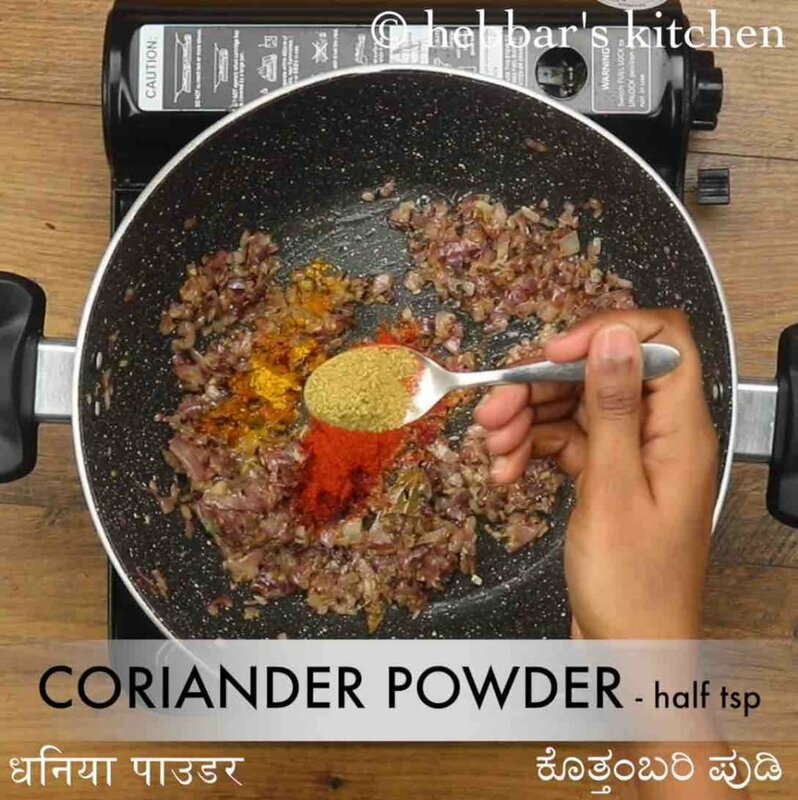 also add ½ tsp coriander seeds, ¼ tsp ajwain, ¼ tsp turmeric, ¼ tsp chilli powder, pinch hing, ¼ tsp salt, 2 tbsp ghee and 2 tbsp curd. mix well making sure the dough turns moist and all spices are mixed well. 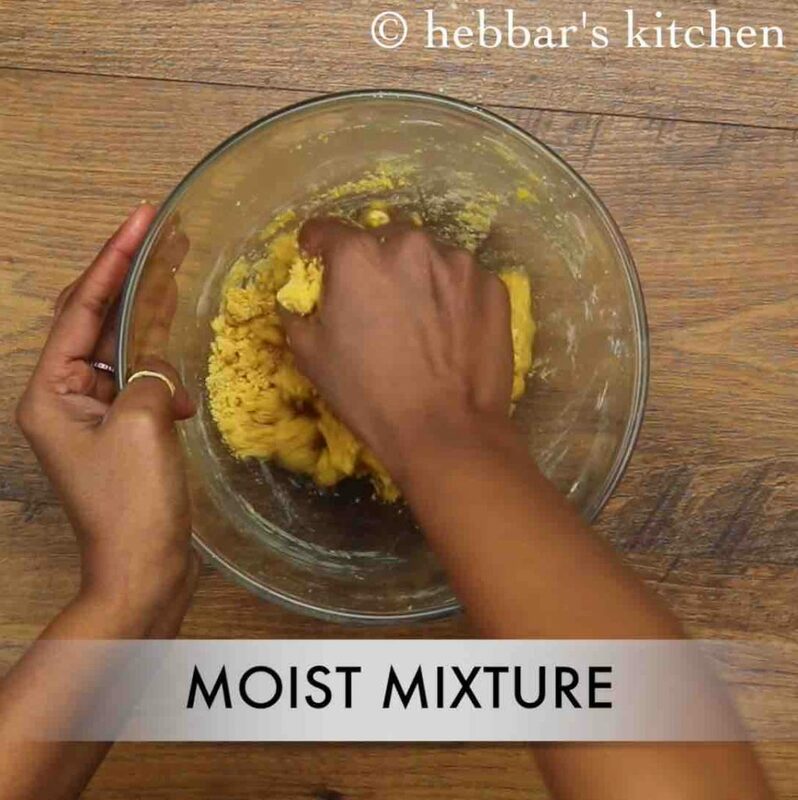 further, add 2 tbsp water or as required and knead the dough for 5 minutes. 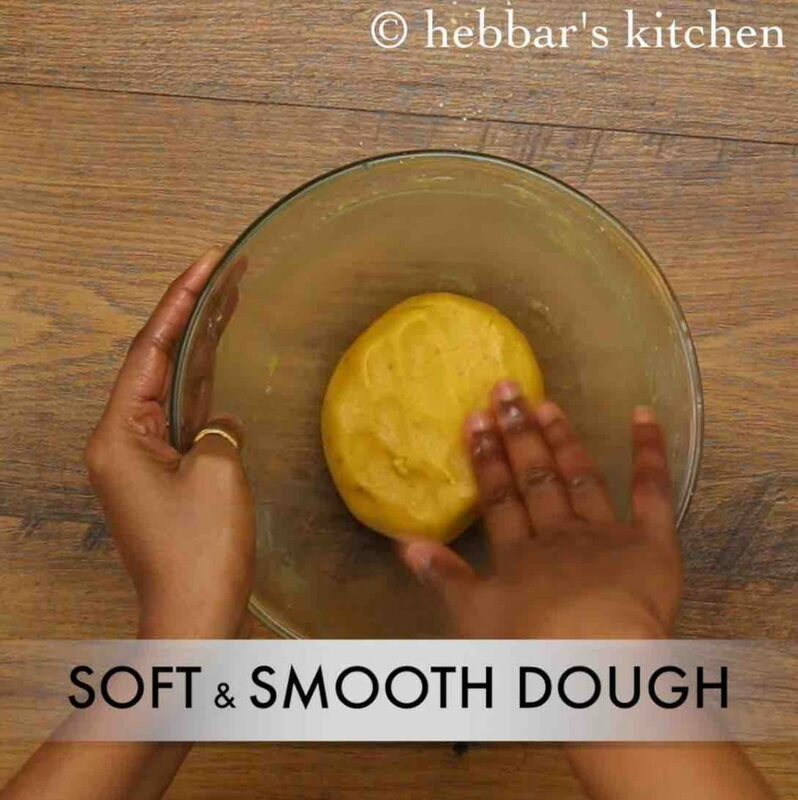 knead to smooth and soft dough adding oil to prevent from sticking to hands. 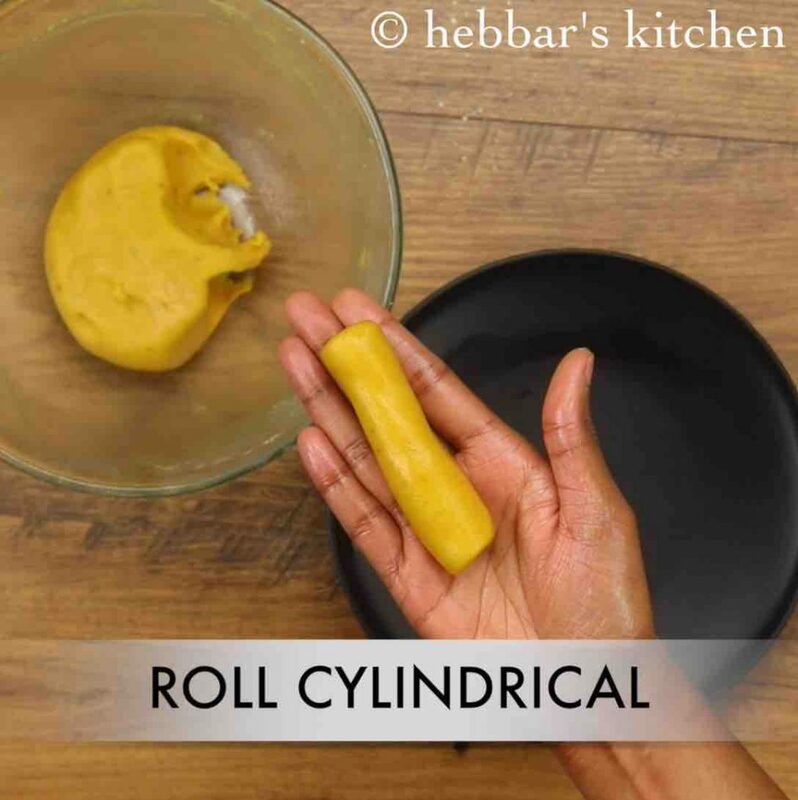 now pinch a ball sized dough and prepare cylindrical logs. 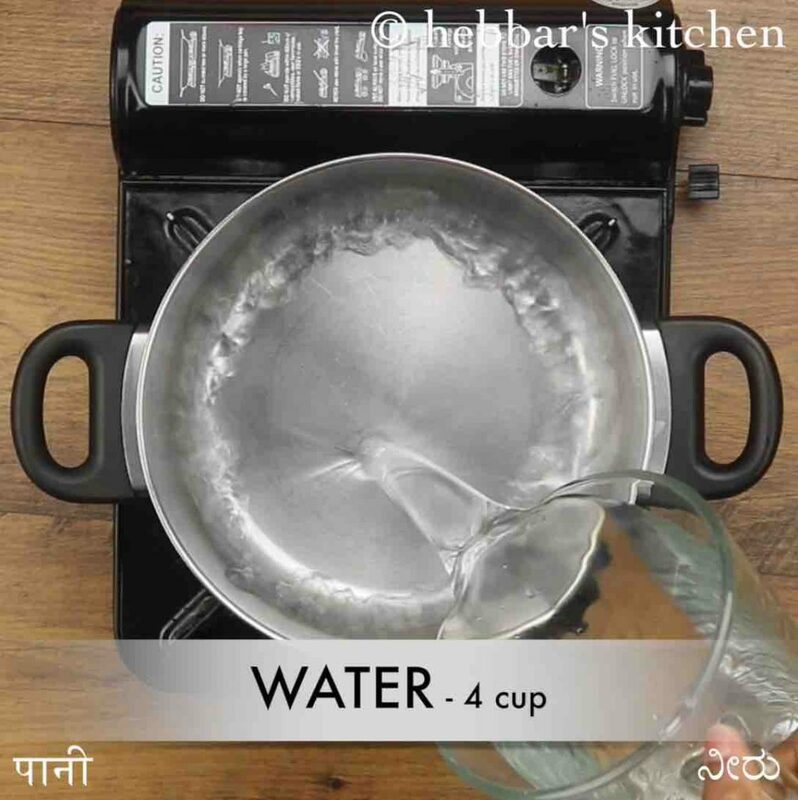 in a large vessel boil 4 cups of water. 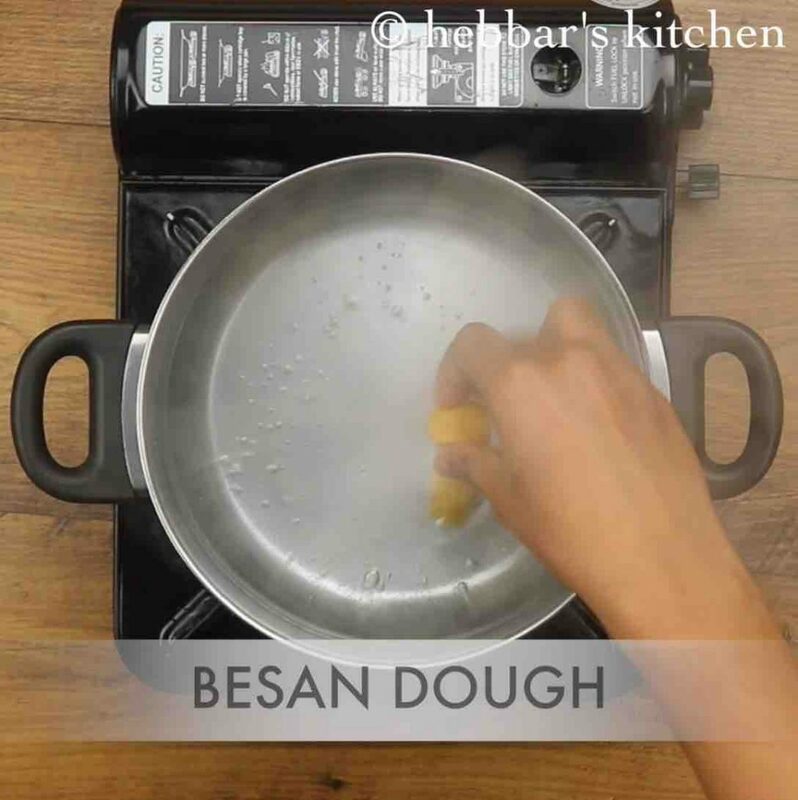 once the water comes to a boil, drop in prepared besan dough. 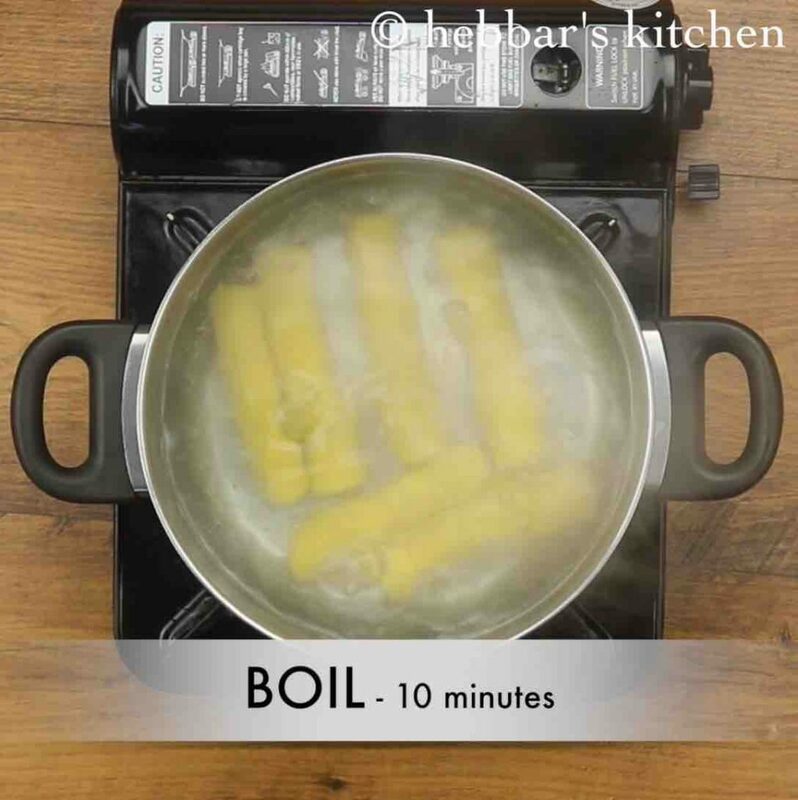 boil for 10 minutes, without disturbing. 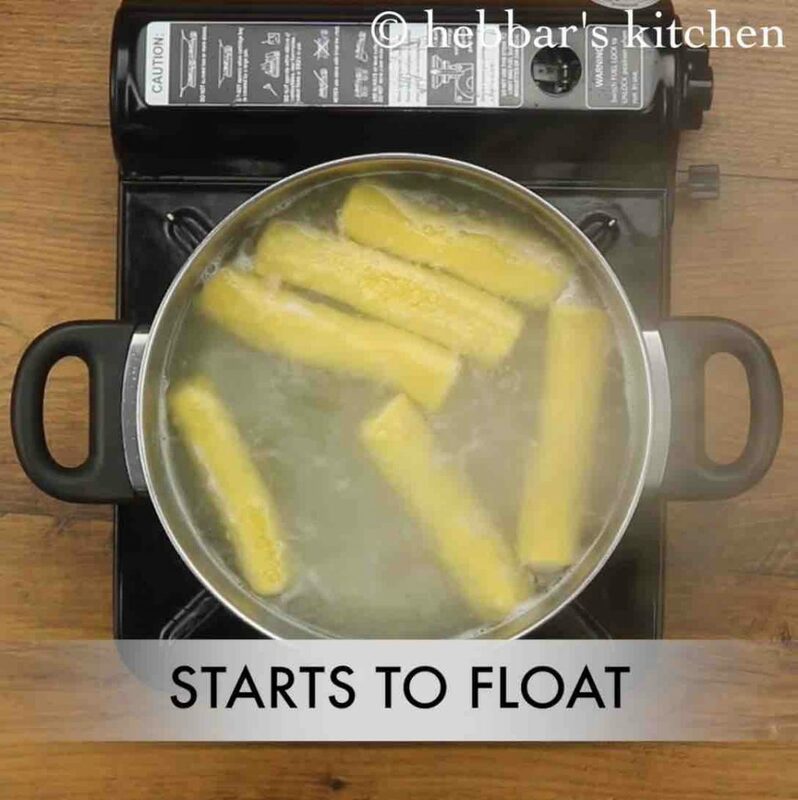 once the besan dough is cooked, it starts to float. drain off the gatte (boiled besan dough) into a plate. now cut the gatte into small pieces and keep aside. 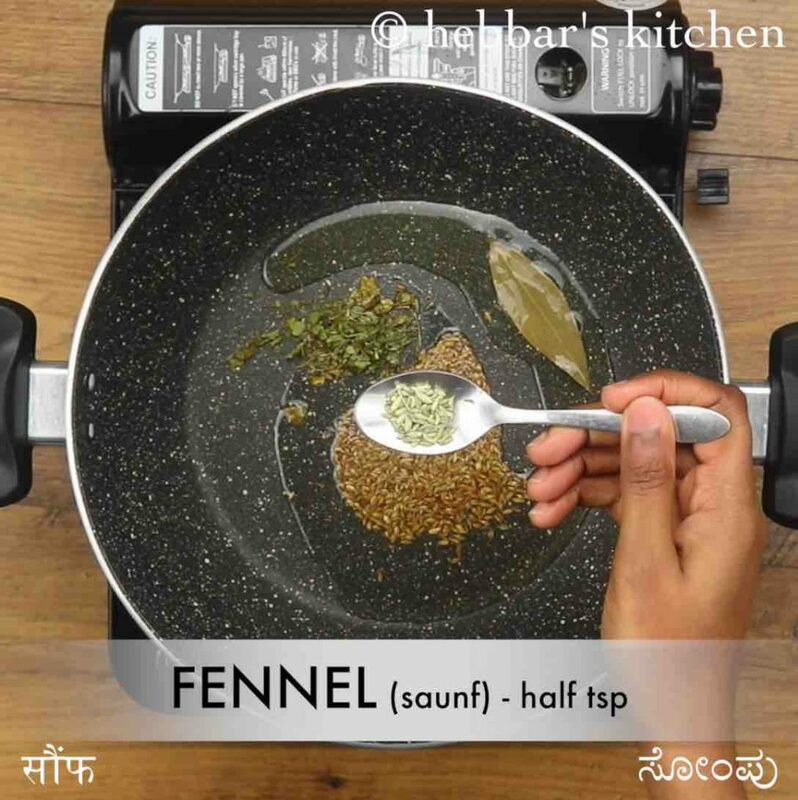 firstly, in a large kadai heat 2 tbsp oil and saute 1 tsp cumin, 1 tsp kasuri methi, 1 bay leaf, ½ tsp fennel and pinch hing. further, add 1 onion and saute to golden brown. also, add 1 tsp ginger garlic paste and saute well. 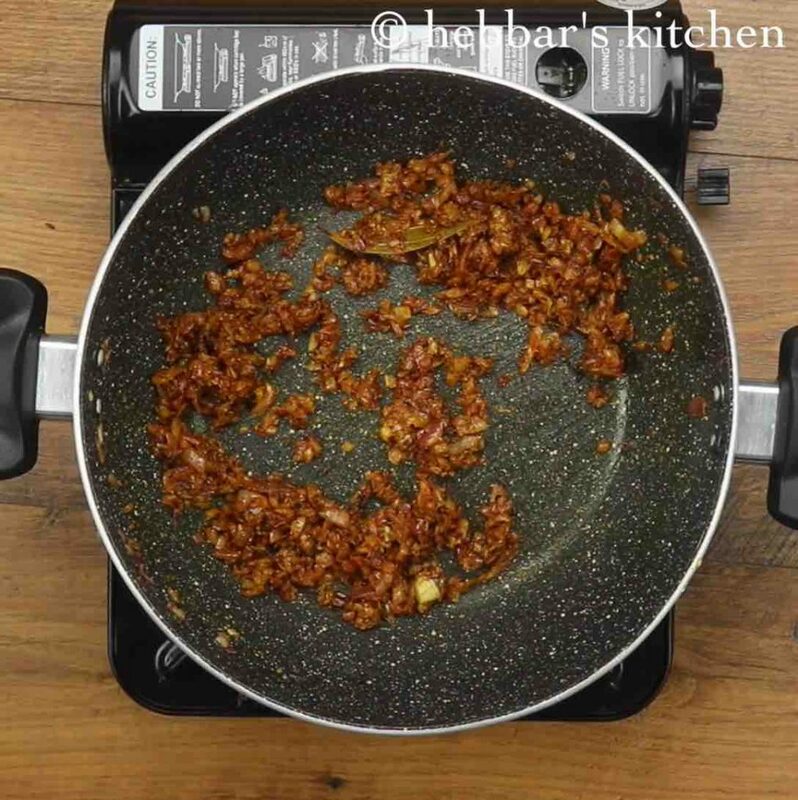 keeping the flame on low, add ¼ tsp turmeric, 1 tsp chilli powder, ½ tsp coriander powder and ¼ tsp cumin powder. furthermore, add 1 cup water. use leftover water from boiled dumping. also, add 1 cup curd and stir continuously until the mixture comes to a boil. cover and boil for 10 minutes, or until gatte absorbs flavour. adjust the consistency as required. firstly, knead besan dough well, else gatte will turn hard. also, add water as required to adjust the consistency of gravy as it thickens once cooled. 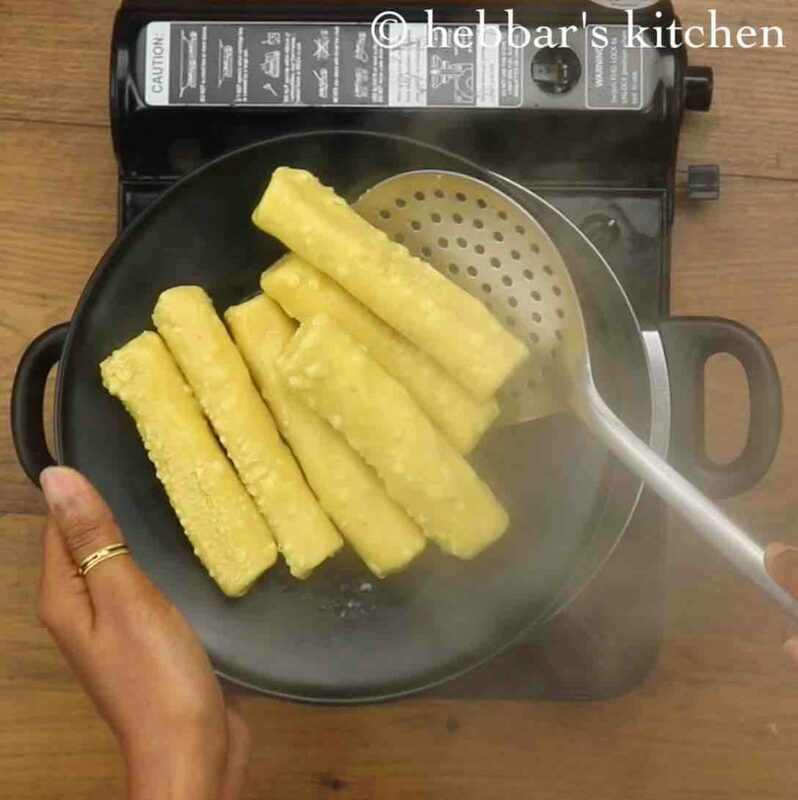 additionally, to prevent curd from curdling, stir continuously until it comes to a boil. finally, gatte ki sabji / rajasathani besan gatte ki sabzi tastes great when prepared spicy.